Editor Math Question Heeeelp ! An editor gets $2110 raise each year. After working eight years, she is making $70,100 per year. 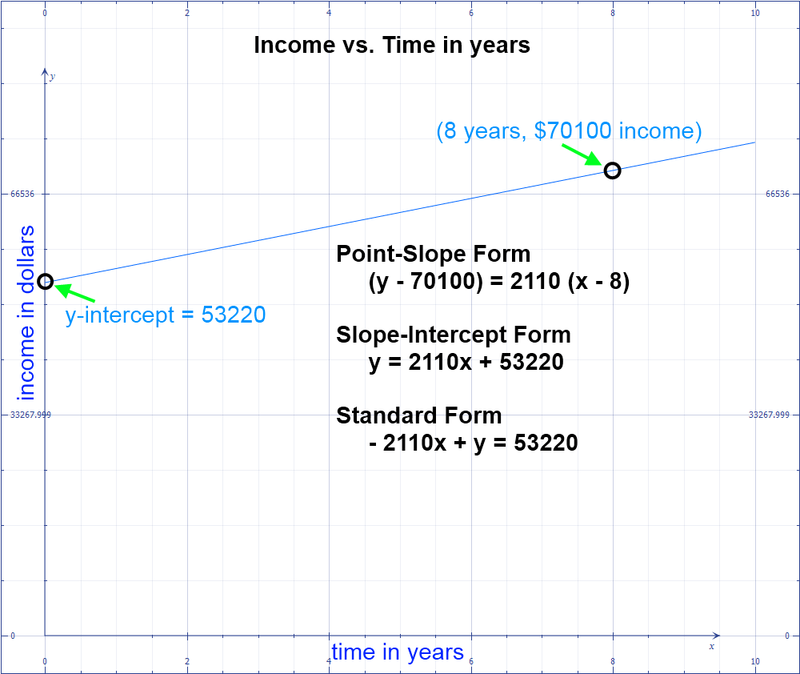 Write an equation in point slope form which models her income in terms of how many years she has worked for he company. Comments for Editor Math Question Heeeelp ! The slope-intercept form of the equation can be determined by rearranging the point-slope form. To put the equation in slope-intercept form, simply solve for y. The standard form of the equation can easily determined by rearranging the slope-intercept form.